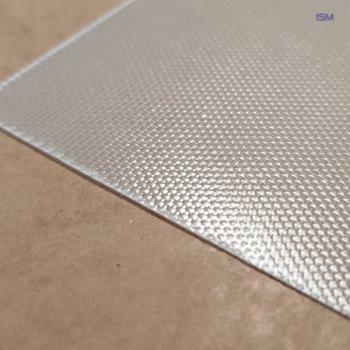 PrePregs are preimpregnated materials, which are usually produced in a fabric composite with different resins. Epoxy and phenolic resins, which remain stable at room temperature, are mostly used. A special feature of the PrePregs is their leathery, tough surface. Since this is usually somewhat sticky, the different layers of the material are prevented from sticking with a release paper. Then, when the material is processed by pressing, the resin liquefies for a short time, then can be well deformed and then cured quickly. This makes it possible to produce more complex, bubble-free shapes that are very strong but still lightweight, and have a visually pleasing surface.